During 1959 and 1960, great efforts were made by the Council to present a case to the Taoiseach for a higher budget to carry out the intentions of the Arts Act. 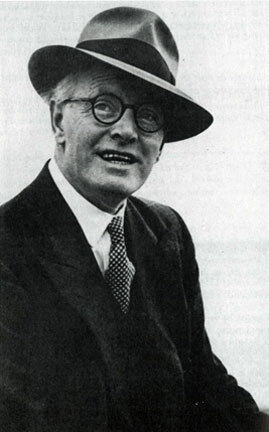 In December 1958, a special report detailing the difficulties to date of the Council in implementing the Arts Act was prepared by the Director Seán O’ Faoláin. By 18 February 1959, the nine-page report amended by a sub-committee consisting of the Director, Very Rev. Donal O’Sullivan and Sir Basil Goulding, was submitted to the Taoiseach along with a request to receive a deputation from the Council to discuss ‘propositions bearing on the future of the Arts Council arising from the report’. While the report did not contain these specific ‘propositions’, summary budget priorities were subsequently drawn up at the request of the Department of the Taoiseach by the same sub-committee and adopted by the Council for submission to the Taoiseach in May 1959. However, Seán O Faoláin resigned in July 1959 to take up a new post of resident Fellow and Lecturer at Princeton University New Jersey, America and ‘these propositions’ were put on hold until the appointment of a new Director. On 27 February 1960, a five-page document was eventually submitted to the Taoiseach along with a request for a deputation. Sadly circumstances changed with the death of Monsignor de Brún. Under the term of the new Director, Rev. Donal O’Sullivan, a new request was formulated on the 6 October 1960 to the Taoiseach’s Department. The request suggested that the Taoiseach ‘receive the deputation on a date prior to that on which the Council will be asked to prepare their Estimate in respect of the forthcoming financial year’. An appointment with the Taoiseach was arranged for Monday 31 October 1960 at 3.30 p.m. On this occasion, a deputation consisting of the Director, Dr C.S. Andrews, Michael Scott, Council members and Mervyn Wall, Secretary, met with the Taoiseach Seán Lemass . The Council budget for 1960/1961 was £30,000 – an increase of 10,000 on the previous year’s budget. Report on the Arts Council's meeting with the Taoiseach, Seán Lemass, 31 October 1960. After two years experience as Director I have come to the conclusion that, if all the functions of the Council are to be fulfilled effectively, it is impossible to do so with so small an annual sum, and as a result, an inadequate staff. In other words the Act cannot under present conditions be operated effectively in accordance with the intentions of the legislature. Director’s report (Seán O’ Faoláin) presented to the Council and endorsed by them for presentation to theTaoiseach, 26 January 1959.